Our light and crunchy fish skins are so deliciously tasty, we’re sure your dog will love them. 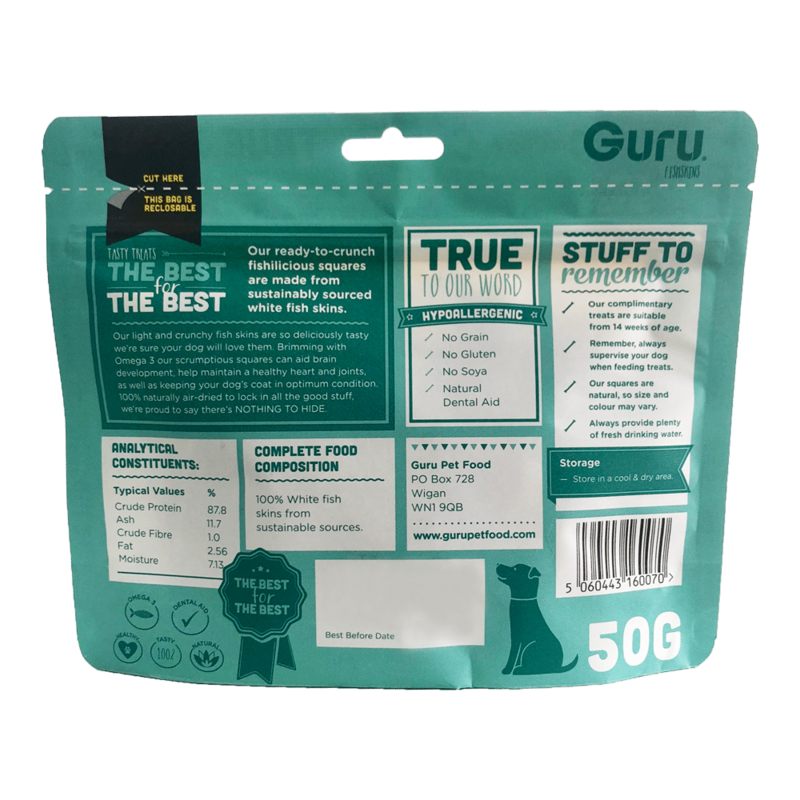 Brimming with Omega 3 our scrumptious squares can aid brain development, help maintain a healthy heart and joints, as well as keeping your dog’s coat in optimum condition. 100% naturally air-dried to lock in all the good stuff, we’re proud to say there’s NOTHING TO HIDE. Our ready-to-crunch fishilicious squares are made from sustainably sourced white fish skins. This is a natural product, so colour and size may vary slightly. 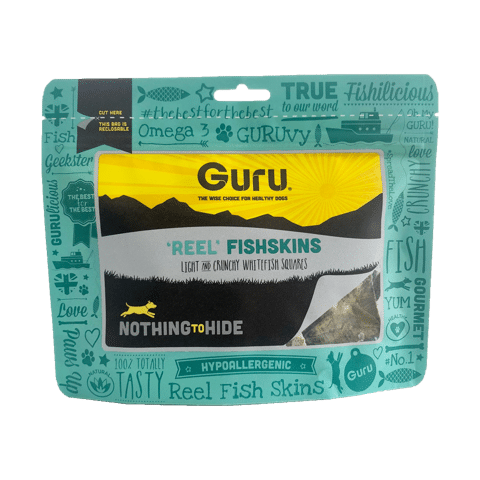 Also, for our Geeksters who’d rather not have the crunch, these ‘reely’ tasty fishskins can be softened in water… winner winner fishy dinner!